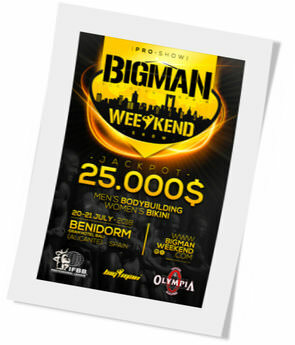 Tendrán lugar los días 20 y 21 de julio de 2018 en el Gran Hotel Bali (Auditorio de Cristal ), C/ Luis Prendres, s/n, 03502 Benidorm, Alicante, España. This entry was posted on miércoles, julio 18th, 2018 at 11:58 am	and is filed under Campeonatos. You can follow any responses to this entry through the RSS 2.0 feed.Both comments and pings are currently closed.